Home / Income / The Key To A Happy Retirement? Savings and Dividend Investments. For something as inevitable as old age, most people are surprisingly unprepared for it. As a nation facing an ageing population, we lack the tools and resources to deal with the oncoming shift in demographics. Five years ago in 2012, nearly 20% of the American population was older than 60. By the year 2050, most millennials would have joined the ranks of seniors and the proportion of people over 60 could be 25% to 30%. In other words, nearly one-third of the country’s population will be within range of the official retirement age in just a few decades. Ageing may not get as much attention as globalization, automation, or the housing supply crisis, but it is a silent revolution that is transforming America. As more people retire, the state’s finances are likely to be strained. Federal programs such as Social Security and Medicare are already being stretched to their limits. Within three decades, these programs could be transformed beyond recognition. For the average American, this means planning and preparing for retirement is very much a solo effort. Saving up diligently and investing wisely is seen as the only way to secure a satisfying retirement. Perhaps the biggest challenge most people face in securing their retirements is a lack of funds. People underestimate just how much money they will need when they get older and stop working. This miscalculation, combined with general procrastination, leads many workers to under fund their retirement accounts. Americans are not natural savers. Nearly half of all retirees admit they have less than $25,000 saved up for their lives after work. One in four workers has less than $1,000, and a jaw-dropping 34% of Americans have no savings at all. According to experts, this is because of a number of different factors. The average worker has a surprisingly low savings rate. While financial experts recommend saving more than 10% of monthly wages, most workers save less than 3.6%. This rate of personal savings has been on the decline since the late-1980’s. A lack of personal savings isn’t the only problem. Most corporations have replaced the defined benefits pension plans for workers with defined contribution plans. In a defined contribution plan, a corporation simply pays a fixed amount into a tax-efficient wrapper such as a 401K or IRA and leaves the investment risk on the worker’s’ shoulders. By contributing to a retirement account, workers must take responsibility for generating investment returns. The problem, however, is that most workers fail to get decent returns on their long-term investments. According to BlackRock, the average investor fails to match the returns of the S&P 500 and usually generates a return marginally higher than inflation. The vast majority of American workers face a retirement without adequate funds to pay expenses. In 2016, the average retiree could expect a Social Security check of just over $1,406.58. That is barely enough to meet monthly expenses. There is simply no way to live off investments if the savings rate is low and investment returns are disappointing over the long term. While most workers fail to save, they also face another challenge while preparing for retirement – a breakdown in traditional retirement tools. Record-low interest rates and inflated asset prices have made it difficult for the average investor to generate a sizable yield from invested capital and buy assets at reasonable prices. Almost all assets, from residential property to bitcoin, appear to be overvalued. This has been called the ‘mother of all bubbles’ or the ‘Everything Bubble’ as young savers struggle to buy a new home and retirees struggle to buy more stock at justifiable prices. Meanwhile, the US Fed and other central banks have been buying up their sovereign bonds and artificially inflating asset prices through quantitative easing. This has had a very direct impact on the finances of retirees. Record-low interest rates have pushed the prices of bonds up and drastically reduced the yield from fixed income securities like the US Treasury Bond. These safe haven financial instruments were the bedrock of the traditional retirement plans. Retirees were encouraged to move out of stocks and into bonds as they got older. A retiree was supposed to live off fixed and stable income from properties and bank deposits. A strategy that is now impractical. It is fair to say that traditional methods of funding retirement have broken down. Despite the lack of yield in fixed income securities, there is still a way for retirees to earn a fixed income on investments – dividends. Corporate dividend yields are still relatively high. Many publicly listed companies still pay a dividend that outpaces inflation and the yield on risk-free government bonds. High yield dividends from quality companies are the perfect antidote to low interest rates and high asset prices. Dividends from blue chip companies tend to be both lucrative and stable. Healthcare giant Johnson & Johnson Co. is a good example. Dividends from the company has steadily increased for the past 50 years. 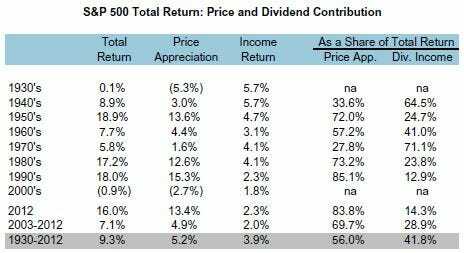 Other stocks on the Dividend Aristocrats Index have managed to sustain and grow their dividends for more than two decades in a row. Dividends play a crucial role in your investment strategy even if you’re not aiming for high income in retirement. Since 1930, the S&P 500 has returned a total compounded rate of 9.3% on average every year. Nearly 41% of that total return can be attributed to reinvested dividends. Using dividends to create a nest egg for retirement is a smart strategy, but it requires a bit of effort. Investors need to take the time to calculate their needs in retirement and aim for a total return that will help them achieve this goal and stay ahead of inflation. Income seeking investors need to be vigilant and dig into the books of each investment. Dividend paying stocks, etfs, and REITs publish their financial reports every quarter. Investors need to read through the published reports and keep an eye on industry news to figure out if the dividend is safe and has the potential to grow. Mitigating risks in this strategy also involves regularly checking for dividend sustainability through a dividend health check. Finally, investors need to reinvest and diversify. By spreading out the nest eggs over a range of dividend paying stocks and etfs, the average investor can cut the risk of capital loss and sudden cuts in dividend income. By reinvesting the dividends over the long-term, investors can apply the power of compounding returns to grow their wealth over time. Although dividend investing is the most resilient way to fund your retirement, it is not a silver bullet for all your financial needs. Dividends can (and often are) modified when the company changes management or expects a shift in the economy. If the company’s management is less optimistic about future profits, a cut in dividend could be expected. Meanwhile, capital losses can eliminate the yield from dividends. If the price of a stock falls more than the dividend yield over the course of a year, the investor has lost money and the plan is thrown off course. Lastly, deploying a dividend investment strategy requires patience and shrewd decisions. 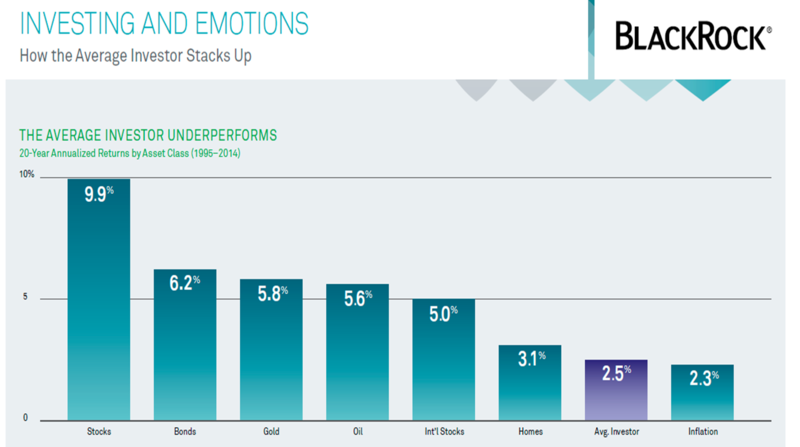 Investors must avoid making emotional purchase or sale decisions and must have the ability to withstand a sudden decline in the broader stock market. This may not be easy if the investor has a debt burden or strained personal finances. According to recent estimates, the average American household owes $137,063, including mortgages, and $16,883 in credit card debt alone. Deploying a long term dividend investing strategy is difficult if you’re swimming in debt and struggling with interest payments. Find financial freedom and reduce the debt burden before you can increase your exposure to high-yield dividend stocks. Retirement used to be a lot easier. People held well-paying jobs for longer, the threat of unemployment was a lot lower, it was easy to save more, and companies offered defined benefit pension plans. Those were the good ‘ol days. Now, with record low interest rates and sky-high asset prices, it’s a lot more difficult to save for retirement. In fact, nearly of third of American workers simply don’t have enough of money to fund their lives after work. The key to a happy and successful retirement now lies in the last financial asset that offers a decent yield – dividend stocks. A well-crafted dividend investing strategy could help you expand your wealth and retire on your own terms.